Geopolitical and geostrategic considerations forced the British to introduce a peculiar form of administrative structure in the tribal areas. The inhabitants of these areas were subjected to systematic exploitation and unfair treatment. The subordination of the populace was implemented through military operations, intimidation, bribery and the divide and rule policy. The British complemented the tribal administration with the Frontier Crimes Regulation (FCR), a law that has been frequently called an “engine of oppression and subjugation”. Ironically, the inhuman and uncivilised system introduced by the so-called civilised and gentlemanly government of British India in the tribal belt continued for decades after Independence. 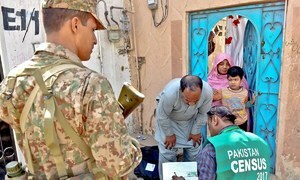 Due to the internal and external dynamics of the region, successive governments in Pakistan failed to introduce reforms or merge the Federally Administered Tribal Areas (Fata) with their adjoining districts. The historic constitutional and legislative changes that have brought about Fata’s merger with Khyber Pakhtunkhwa are a first step in the right direction, but due to complexities, intricacies and numerous hurdles, it will be a gigantic task to implement them. Major problems and challenges of such implementation include modification and changes to the prevailing tribal administrative set-up and to the role and responsibilities of existing officials and various tribal forces such as the Levies Force and Khasadars. Similarly, it is yet to be seen what will be the modus operandi for setting up the various government structures in the tribal areas, such as the recruitment of the local judiciary and creation of police stations. There are additional challenges concerning the rehabilitation, reorganisation and reconstruction of those areas that have been badly affected by militancy and military operations. The upheavals of the last few years have not only fragmented and shattered the tribal structures, they have also generated and ignited ill feelings and grievances among certain segments of the populace towards the state. How the new set-up will reconcile, neutralise and pacify this state of mind of the masses is an important question. How the merger will incorporate the centuries-old traditional conservative tribal structure into a modern set-up is another significant issue. The government should address these issues for the smooth sailing of the new administrative system. External dynamics and problems are yet another challenge for the government to address. 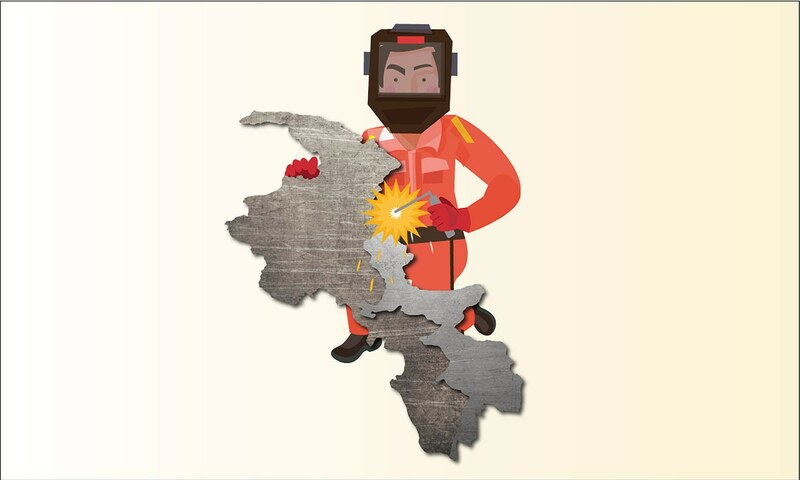 The disenchanted and despondent elements who worked as playthings in the hands of foreign elements would be once again manipulated and influenced to derail, disrupt and destabilise the merger plans. The negative reaction and response of the Afghan government to the merger is, therefore, a big question that Pakistan needs to consider and address. 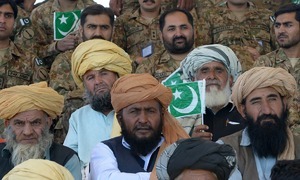 If the challenges and difficulties mentioned above are handled with far-sightedness and maturity, they may offer some great prospects to Fata, rich in natural resources, that in turn need to be explored and exploited for the development and progress of these areas. The creation of industrial and economic zones and transit facilities for trade with Afghanistan and the development of tourism may accrue some other benefits for local inhabitants as well as for the state of Pakistan. To achieve this, special grants in aid should be allocated for the coming 10 to 15 years under a proper monitoring mechanism to rebuild and renovate the basic communication and civic infrastructure in Fata. More say for the representatives of Fata in policymaking about the tribal areas should be given imminent and pivotal importance. In addition to all this, the promised reforms should be implemented phase-wise and in a transparent manner. This article was originally published in the July 2018 issue of the Herald. To read more, subscribe to the Herald in print. 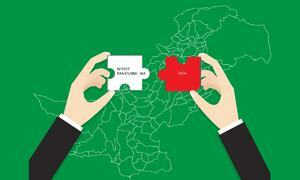 Will the Fata merger and other related reforms ever become a reality? Just merge the FATA with kpk. Just do it. Excellent write up by the professor and precise prognosis. Incompetenc, dishonesty and the most idiotic theory of the "strategic depth" were the hurdles in extending the civic rights to the people of these areas. The writer has given a historical perspective of FATA but he's not mentioned any will of the people and the decision of the merger in a much hurry where the masses were not taken on board and their say is missing in whole of the process. Doesn't matter, when we are having our own cabinet for Kashmir why couldn't we do the same for the people of FATA? The writer comes as he mention the Afghanistan negative response, doesn't make any sense when Afghanistan is itself bled from the same region when once the so called American and Arab jihad was launched from the same pad and then in post-9/11 era the fleeing terrorists from worldwide were given shelter in the same region that became an headache of the locals and the same were planning attacks against Afghanistan and the International Community there busy for peace, progress, democracy and state building. Why such article.. get them education... all problems will be sorted. Major challenge is transformation of entirely different system . India had similar problems in eastern Front, Nagaland , Tripura Arunachal Pradesh But was able to come out of that, Why don't we follow that Model? I think that the article is concise and well written, keeping in view historical facts as well as contemporary issues. This initiative for merger of FATA with settled areas must have been taken decades earlier. The problem with us is that no body appreciates the positive steps, taken by any one in right direction. This would be fruitful for future generations. Its time to appreciate and not to target some one for move in a right direction.